Your wedding will be one of the most important and memorable nights of your life and we know how essential it is to make sure that everything turns out just right. We take this very seriously, so that your wedding planning experience is as easy, as fun, and as stress-free as possible. We will guide you through the entire process, eliminating any guesswork and offering you the benefit of our ten years of wedding-planning experience. Oceana Weddings provides all of the services necessary to make your wedding flawless. As part of creating a personal design that reflects your dreams and desires, we help you to brainstorm ideas on how to make your wedding celebration uniquely yours, we work with you to develop a realistic budget, we connect with the vendors and venues that will be able to bring your vision to life, and we review all the quotes and contracts and manage your correspondence for you to make the process simple and straightforward. And of course, on the day of your wedding, we coordinate everything down to the minute so you can focus on what really matters and enjoy the celebration with your loved ones. Most importantly, we will always be available to support you every step of the way, because we know that personal care and attention makes a difference. Whatever you need, we’ll be there to help. We pride ourselves on creating weddings for our couples that are a reflection of their desires, priorities, and personalities. No two couples are identical, and the weddings we design for them reflect that. We make a point of limiting the number of couples we work with each season so we can get to know each of our couples on a personal level. We want to know what you like to eat (and drink! ), how you spend your Sundays, what you love about your home decor, what inspires you, and—most importantly—how you define a great party. With these and many other important details in hand, we can create a storyboard for your celebration that is truly a reflection of you and only you. We will then select a unique team of creative individuals that understands your needs and desires, and together we will make your wedding celebration more spectacular than you can imagine. Ideas can come from anywhere. Fashion, architecture, interior design, nature, the arts—our eyes are always open for inspiration from creative people and exotic places. Although we go to conferences around the world to stay in touch with the latest trends, it’s our imagination that sets us apart. If you are already well on your way with the planning but you’re a bit overwhelmed by the details of executing the wedding day, we would be happy to take over so you can have some peace of mind and focus on what’s really important: enjoying yourself and your loved ones. Once we’ve had a chance to talk about your wedding, we’ll provide you with our Logistics Questionnaire, a valuable tool to guide you through the process of planning your wedding. The month before the wedding, we will meet with you to create a down-to-the-minute timeline and to troubleshoot any difficulties you may have. We will then send the timeline to your vendors and take over your communication with them so that on the day of your wedding, you can focus on having fun while we coordinate all the details. 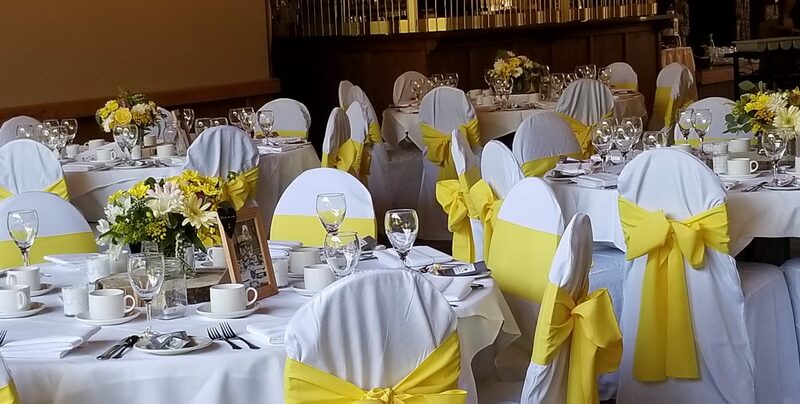 We take pride in our ability to customize any event to your specifications, and we have the experience and the contacts to arrange a literally unlimited variety of different events. Engagement parties, corporate functions, baby showers, fundraisers—the possibilities are endless. Whether we plan the entire event from start to finish, or just give you a helping hand along the way, we would be happy to assist you in any way we can.